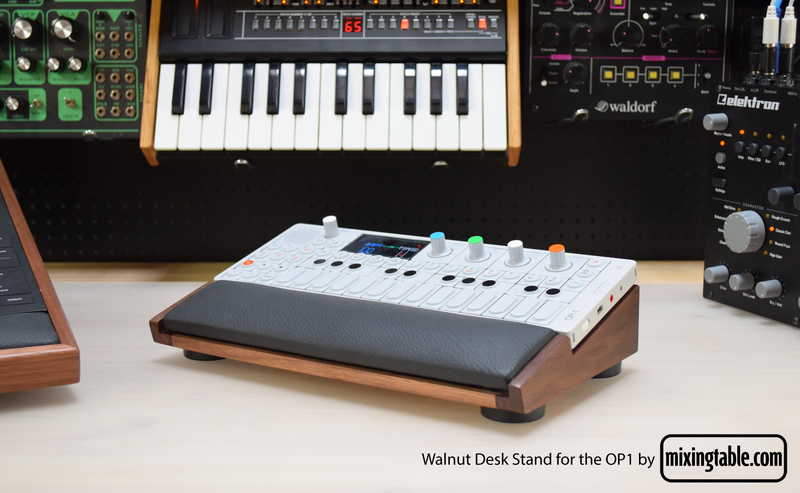 A solid Walnut Lux desk stand for the Teenage Engineering OP-1 by Mixingtable. Place your OP-1 on this luxury desk stand to give it a 15 degree slant and rest your wrist on the generously sized padded rest strip. 99 Euro + 18 Euro shipping to any destination.